If there is ever to be a comprehensive study on truly successful South African wine brands, I’ll be ignoring the results if Vin de Constance does not appear at the very top. As they say in the classics, when it comes to this brand, what’s not to like? First, there is the unrivalled provenance which is an integral part of the country’s wine history. This, of course, lies in the fact that the sweet wines of Constantia were a real hit in Europe around the 17th and 18th centuries, being sipped by big-shots such as Napoleon and written about by Dickens and Austen. This powerful legacy has been talked about ad infinitum, but serves as a reminder that South African wine was already a cherished item in the halls of civilisation and the corridors of power while Australia was still teaching its convicts to plant vines and Californian farmers were battling Mexican warlords. 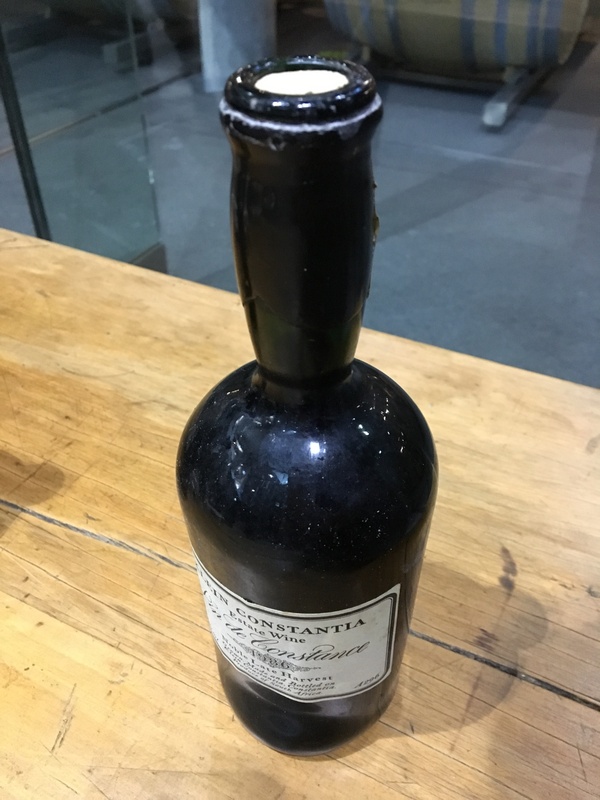 The second aspect making Vin de Constance what it is, is the foresight shown by the erstwhile owner of Klein Constantia, Duggie Jooste, to resurrect this wine. 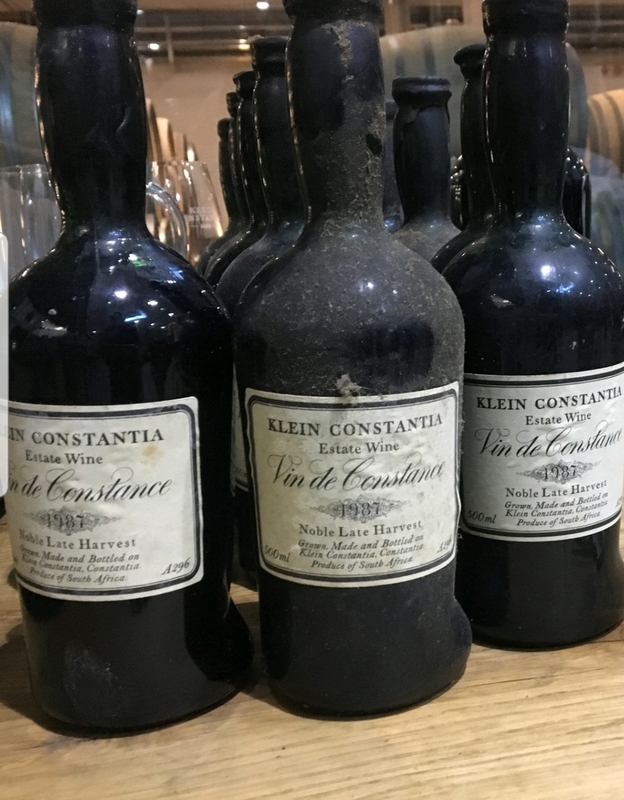 In 1986 the first renewed Lazarus-like version of Constantia’s great drink was bottled in that now familiar antique-style 500ml bottle under the name Vin de Constance. Add to this vessel a superbly crafted natural sweet Muscat de Frontignan wine, and the rest is a spectacular continuation of a piece of vinous history. 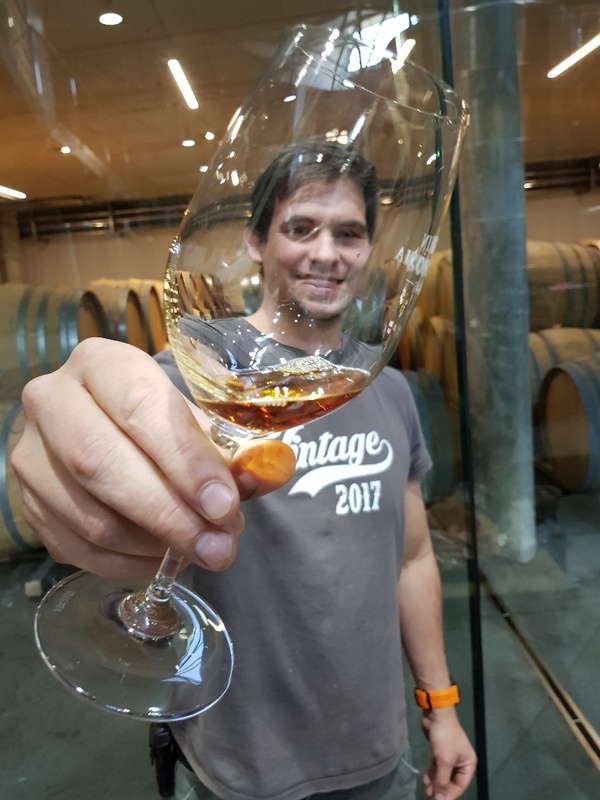 Klein Constantia cellar master Matthew Day with a tot of Vin de Constance 1986. Some 32 years after its release, Vin de Constance is – by a country mile – the most sought-after and arguably best-known South African wine brand. In a wine industry today obsessed with marketing, branding and – God forbid – story-telling, Jooste and company deserve top honours for the vision shown back in the 1980s when branding was something you did to identify cattle. Adding to all this, is the fact that Vin de Constance is a wonderful wine. And I must confess that my obsession with fortified wines has led to my somewhat neglecting the natural sweet offerings of South Africa that are as generous in number as they are in deliciousness. Vin de Constance is, however, in a class of its own. Last week an opportunity to sample the older Vin de Constance vintages arose when Amorim’s cork maestros were hauled in by Klein Constantia to re-seal some of the older wines. Sampling the aged elixirs to ascertain their quality before bunging in a new cork is a vital part of the process, and one needed no dragging, kicking or screaming to be of assistance. The focus was on Vin de Constance 1986, the maiden vintage, and the 1987. Both are now collectors’ items, the former able of commanding R40 000 per 500ml in-tact bottle. This, by the way, is how a secondary wine market develops – naturally, virally. No stockbroker talk and MBA gimmicks. Vin de Constance 1986 displays some bottle variation in the colour, varying from a moody darkness to a showy, honey-like bejewelled glow. And on the nose and to the mouth, they show no reason why these will not be able to age for a century or more, just like those older Constantia sweet wines have done. 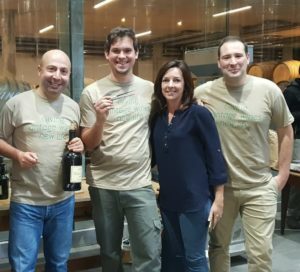 Re-corking: Joaquim Sá , MD of Amorim SA, Matthew Day, and Amorim’s Marize Uys and Bruno Maia. In wine, acid is life. And the striking aspect of both the 1986 and 1987 Vin de Constance is the lean, crisp run of acidity holding everything together. Neither piercing nor dominant, the acid component provides a taut, clean cord upon which the diverse flavours can hang and blow about in the fresh breeze of a living wine. Sugar there is, obviously, and this is where the flavours and aromas come to the fore. Some of the 1987s have an intoxicating whiff of crème brúlée, while a few 1986s show apricot blossom, toffee and marmalade on the nose. To the palate, and of the over 100 wines opened not one off or tired wine arrived. Klein Constantia cellar master Matthew Day also popped a Vin de Constance 2014 for comparison purposes, which certainly broadened the conversation. A thirty-plus year old Vin de Constance: ostentatious freshness, almost like an out-of-date actress trying a bit too hard. But once the wine settles in the mouth, the complexity combines with sophistication and class that only decades of experience can bring. There is fruit-cake and marzipan, with a lick of treacle and some grated orange peel. Spice, too, namely crushed cardamom, cinnamon stick and star-anise arriving in darts, threading themselves between the layers of tantalising flavour. And after all these years in the bottle, yes, fruit. Fresh, wet, dewy, vivid fruit: small, sun-baked Turkish fig, ripe slices of yellowed-quince and some kumquat lurking in the background. But still with a zesty, moreish drinkability. It is truly noble stuff. Back to the future, and the Vin de Constance 2014 is – obviously – a different kettle of koi. Yellow-orange in colour it is tremendously fragile on the nose, perfumed with rosewater, tangerine and honeyed toast. The attack on the palate comes without the zap of acid, the style having changed through the years. “All about picking,” says Day. I now know why Vin de Constance is also offered in magnum bottles these days, as the younger style does make for very gluggable drinking. Slightly chilled, a recent vintage such as 2014 bears apricot and honey, ruby grapefruit, a gently applied layer of custard apple and some riveting fresh pear and gooseberry. But it is about texture and length, and the sip is as delicately comforting as a duvet made from the feathers of young Muscovy ducks, as upliftingly classy an Aretha Franklin jazz standard. Greatness is all, and fortunately very rare.